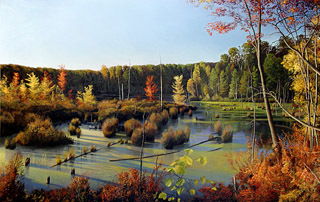 A Pond at Kensington Park, 8:30 a.m.
Oil on canvas, 42" x 66", 2005. 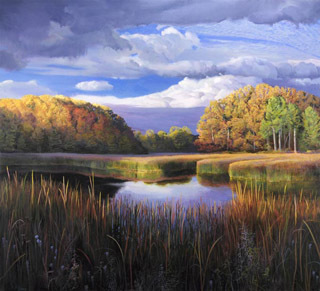 West Bloomfield Nature Conservancy, West Bloomfield, Michigan. 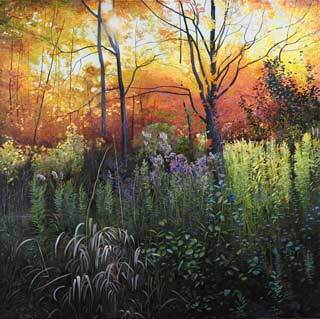 I was never satisfied with this painting after I initially completed it in 2001, and repainted it in 2004-2005. 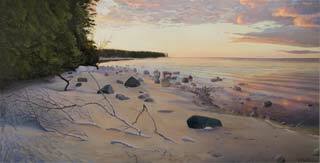 Oil on canvas, 28" x 54", 2015. This is the beach at or near Eastport, Michigan, looking out across Lake Michigan. 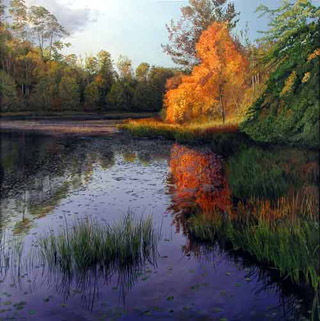 Oil on canvas, 42" x 42", 2011-15. Fall colors near my house. 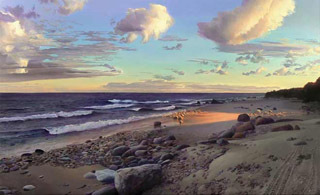 Oil on canvas, 26" x 54", 2008. A beach along the Michigan shore of Lake Michigan north of Traverse City. 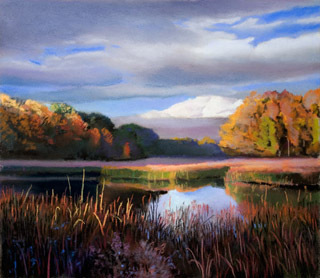 Oil on panel, 12" x 16", 2009. Eastern shore of Lake Michigan at Goodhart, Michigan. 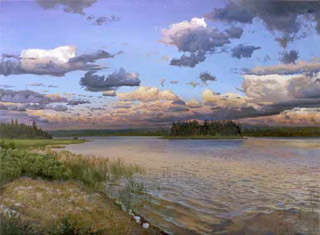 Oil on canvas, 12" x 36", 1994. Eastern shore of Lake Michigan at Goodhart, Michigan. 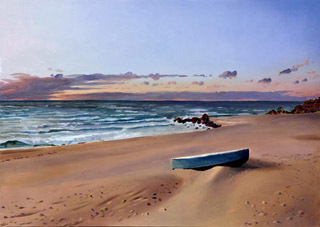 Oil on panel, 8" x 45", 2007. 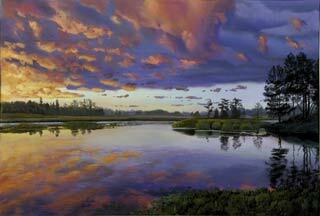 Seney National Wildlife Refuge, Michigan�s Upper Peninsula. We drove very slowly on gravel roads between the ponds they call pools and saw egrets, ducks and swans. 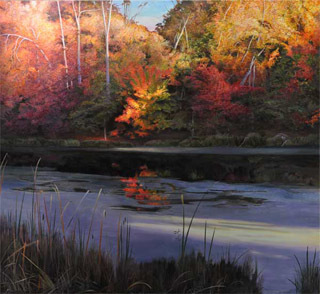 Oil on panel, 12" x 40", 2016. Lake Michigan at Goodhart, about 20 miles south of the Straits of Mackinac. The wind is up, the waves roll in, the Sun goes down. It is summer Up North, our bellies are full, and we gather to admire the spectacle.